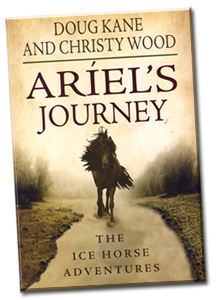 Doug Kane had a great love for his Icelandic horses and it shows though the pages of Aríel's Journey. Unfortunately Doug passed away February 5th, 2011 of Frontotemporal Dementia, better known as Picks Disease. He will be greatly missed by friends both two footed and four. View this video for the story behind Aríel"s Journey. Book price is $8.95 plus $5 for shipping & handling. You will be billed for the amount of your purchase upon receipt of your order. * Required Field, form will not submit without this information supplied. This website and all contents are © Copyright 2011 by Aríel's Bed & Breakfast and may not be used without permission.